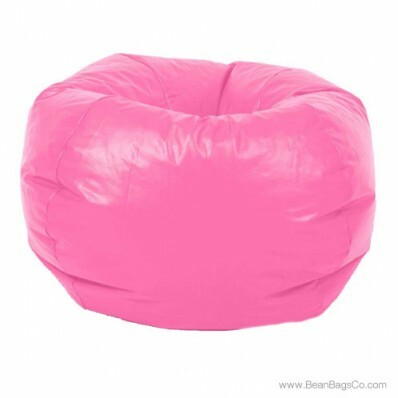 If you are looking for the perfect addition to your den, bedroom or study, the classic bean bag chair in hot pink vinyl may be the best choice. 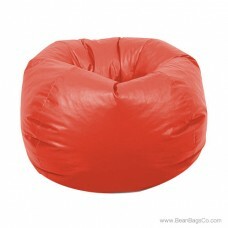 This retro bean bag has today’s styling and comfort with sturdy UltimaX bead filler, a double-locking zipper for extra safety and a vinyl, wipe-clean cover in fantastic hot pink. What a great addition to your casual furniture collection! This chair hearkens back to the early bean bags that became so popular in previous decades. The reason for the popularity of these chairs was easy to understand: comfortable, stylish, affordable and portable, bean bag seating provided an instant solution over heavy stationary furniture. 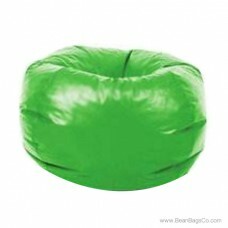 Today, families still choose bean bags for their casual spaces due to their flexibility, comfort, durability and beauty. The hot pink bean bag lounger can be the ideal addition to your children’s furniture or your own adult décor, providing the perfect spot to perch while you watch television, work a puzzle, read or simply relax.